December 24, 2015 — Wishing you love, joy and peace and a very Merry Christmas! December 16, 2015 — Please see your invitation to our Christmas Party! November 19, 2015 — Winter is here! October 30, 2015 — Building a diversified, resilient and strong economy in Saskatchewan! October 22, 2015 — Building a diversified, resilient and strong economy in Saskatchewan! October 8, 2015 —Happy Thanksgiving! October 1, 2015 — Saskatchewan's population continues to grow! September 17, 2015 — NHL Pre-Season Game in Saskatoon This Saturday! September 10, 2015 — Enjoy the many activities happening in Saskatoon this weekend! September 2, 2015 — Enjoy Labour Day Weekend! Go Riders! August 26, 2015 — Enjoy Free Fishing this weekend! July 28, 2015 — a great Saskatchewan summer! July 2, 2015 — Celebrating Canada! June 24, 2015 — Wishing everyone a happy summer! June 17, 2015 — An Exciting Day in Our Constituency Today! June 4, 2015 — I Look Forward To Seeing You Tuesday, June 9th! 7 May 2015 — HAPPY MOTHER'S DAY! 23 April 2015 — Look At What Is Happening In Our Province And Our Constituency Of Saskatoon Silver Springs! 31 March 2015 — HAPPY EASTER WEEKEND! 26 March 2015 — North Saskatoon Business Association "SOLID AS A ROCK!" 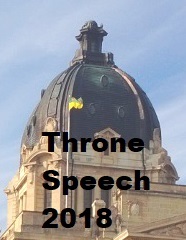 12 March 2015 — Have You Reserved Your Invitation To Attend The Provincial Budget Address March 18? 5 March 2015 — Willowgrove And Holy Family School Classes Officially Scheduled To Begin Monday, March 9! 25 February 2015 — I Am Happy To Highlight Three Stories This Week That Involve Saskatoon Silver Spring Constituents! 12 February 2015 — HAPPY VALENTINE'S DAY!! 8 January 2015 — Happy New Year!